Tired of all the parties? Suffering from a serious winter depression? Aching for an old-fashioned cosy get-together with friends? We have just the remedy for you! On March 24th, Overdose.am presents the most soothing event of the capital: Zondagmiddag. For this edition, we return to the place where it once all began: Amsterdam Roest. The rusty warehouse will be transformed into a true shopping Valhalla, where local designers, acoustic heroes and culinary fanatics join forces to offer you an unforgettable afternoon. Replace those worn out sneakers with vintage boots from Things I Like Things I Love, get yourself a Mad Hairday treatment and find out what homemade goulash tastes like. Among our old friends there’ll be numerous newcomers to prove to you that Sundays are worth getting out of bed for. 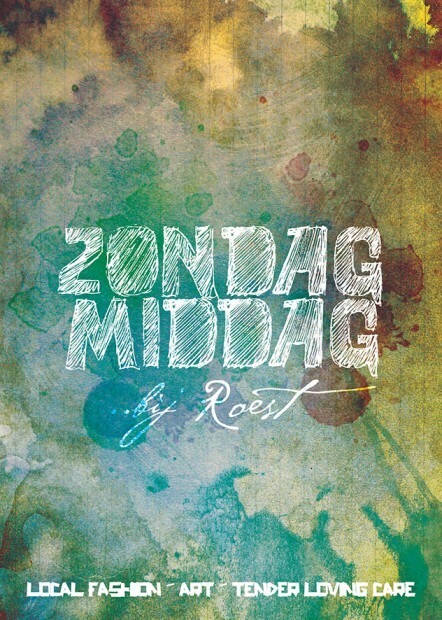 On March 24th, Zondagmiddag will be larger, tastier and lazier than ever before. Plunder your savings and rub those last pennies together because this Zondagmiddag you will find all the treasures you didn’t even know you were looking for. Bring your friends and loved ones and come unwind at our new edition of Zondagmiddag!